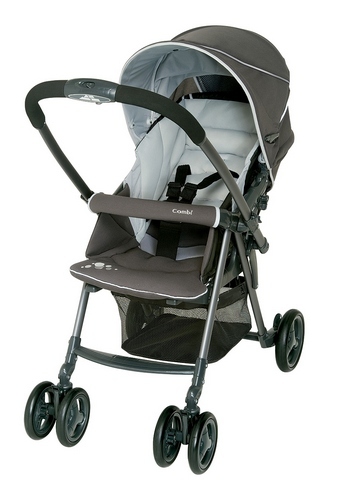 Steel yourself – the ever popular Urban Walker Prestige pram by Combi is now available in sleek dark grey. Nothing says understated elegance as well as charcoal grey. 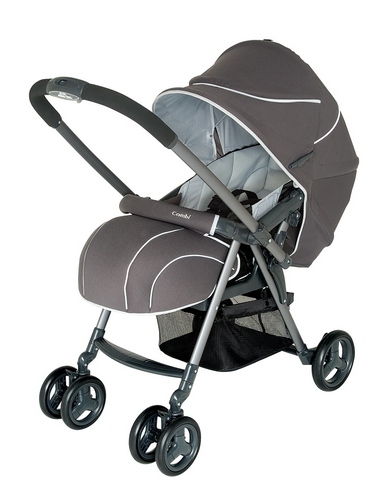 The new colour for the Urban Walker Prestige takes in a gunmetal grey frame, a dark grey hood and boot cover, and a light grey interior and trim. All the practical features that Combi fans love are there – ultra lightweight, easy one-hand open and fold mechanism, a reversible handle so that baby can face you or face forward, multiple seat positions suitable from birth, an extra large basket and a huge sunshade (much needed in sunny Australia!). The Urban Walker Prestige is $549.99 and available through Combi stockists around Australia. If you are in the market for a pram, don’t forget to explore the range of choices with the Babyology chooser.